Why is Cellular Level Detox Important? Home > Why is Cellular Level Detox Important? Cellular Level Detox: What Is Needed for A Proper Detoxification Process? There are seven pathways the body uses for detoxification: the lungs, the liver, the kidneys, the skin, the blood, the gut, and the lymphatic system. They all play a role in detoxifying toxins from our body but their roles, as important as they are, are secondary. If we want to have a permanent impact we need to truly address the source—our cells. 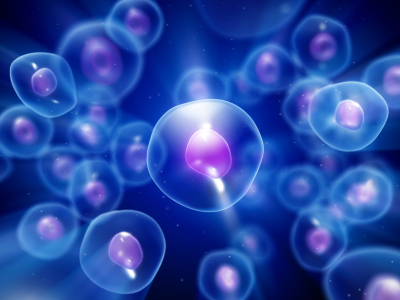 The cell membrane plays a key role in cellular detoxification and health. Inflammation to the cell membrane can impede the cell’s ability to get nutrients into the cell and remove toxins from the cells. In addition, inflammation reduces the ability for hormones to reach the cell receptor sites to be activated. Inflammation of the cell membrane can be caused by heavy metal toxicity, mycotoxins from molds and a diet high in inflammatory sugar or pesticide-ridden foods. o Heavy Metals (mercury, lead, aluminum, arsenic and cadmium). Removing the source may sound like the obvious thing to do, but often people don’t realize their level of exposure. Toxic stressors quickly shut down detox pathways and allow other toxins to bio-accumulate. This is where testing and an inventory of our food, water, air, and personal products can be helpful. According to stem cell biologist, Dr. Bruce H. Lipton, Ph.D. the cell is so important that it should be considered the “brain” of the cell. The cell membrane holds the intelligence of the cell allowing it to turn genes on and off and regulate hormones. A supple lipid bilayer membrane allows for things to be able to flow in and out of the cells. If a cell membrane becomes inflamed, it loses its ability to move good stuff in and bad stuff out, which can lead to abnormal cellular function and disease. The body can’t heal properly without its mitochondrias (cell powerhouses which create ATP) working properly in order to produce energy. Think of how gasoline in a car makes it run. Cellular energy is the gasoline of the cell, and nothing runs or functions without it. As nutrients flow into the cell, they feed the mitochondria. Without adequate production of ATP, cells are unable to detoxify or regenerate properly. What’s more, the lower your ATP, the more inflammation is occurring at the cellular level. Individuals lacking ATP have become an epidemic in America and suffer from symptoms like fatigue, brain fog, digestive problems and hormone conditions. The only way to improve these conditions is to restore cellular ATP. Reducing inflammation and damages made by free radicals created by the detoxification pathways are key elements in improving cell function. Cellular inflammation is driving the epidemic of pervasive chronic diseases and hormone in our culture today. Specifically, inflammation of the cell membrane that affects the way the cell communicates, detoxes which ultimately can change gene expression. Understanding how inflammation affects the cell and how to downregulate it is essential to get almost any condition well. Methylation as mentioned earlier, is one of the steps in phase 2 of detoxification. Methyl groups (CH3) are applied to countless critical functions in the body like: repairing DNA, turning on and off genes, fighting infections and getting rid of environmental toxins. When methyl groups are not available, the body becomes vulnerable to inflammation and toxins. The “Methylation priority principle” concludes that the body prioritizes where methyl groups are most needed. Prioritization is based on the immediate adaptation of stress. In a sense, methyl groups turn our stress receptors on and off. People under high stress can deplete their methyl groups, resulting in heightened levels of anxiety and an inability to sleep. In cases where depletion is severe, stress response is affected and DNA goes unprotected. To make matters even more complex, some people have what are called single nucleotide polymorphisms (SNPs), pronounced snips, or “copying errors” in their methylation gene (MTHFR gene). This means that they have a genetic mutation that inhibits proper methylation and affects the efficiency a person’s’ liver will detoxify. How does this happen? In order for new cells to be made an existing cell must divide itself into two. During this process, it makes a copy of its DNA so the new cells will have a complete set of genetic instructions. Sometimes a mistake is made in the copying (kind of like a typo) and these typos lead to a variation in the DNA sequence at a particular location called SNPs. Genomics and SNPs can tell us who has a predisposition to detoxifying and who does not, so we can better adapt to a person’s need. For example, I have the genotype (+/-) for the MTHFR gene SNP C677T, which makes me a poor methylator. Therefore, in order to support my overall methylation, I’ve started taking specific supplements. 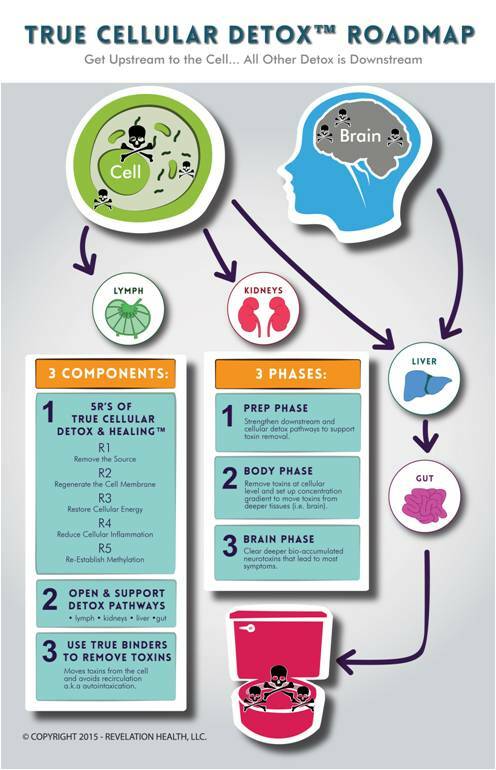 Interested in learning more about Dr. Pompa’s program by finding a True Cellular Detox™? Click here!